The Ambunti Crocodile Festival is a small festival with a personal feel which started a few years ago and has now become established as a yearly event. The Kanganaman Tambuna Festival again started a few years ago, and is basically a competition between the Middle Sepik tribes on which tribe can present the best original sing-sing dressed in their traditional tribal clothes. PNG Frontier Adventures offers a special visit to the annual Crocodile Festival, combined with visiting Wagu Lagoon in the Upper Sepik river and finally ending up with visiting the Kanganaman Tambuna Festival in the Middle Sepik region. The expedition is of 8 nights/9 days where you can experience the Crocodile Festival, see stunning Birds of Paradise performing their dawn chorus and join in with the Tamuna Festival where Middle Sepik tribes compete in a sing-sing competition. This expedition will have all our visitors departing the Wewak Hotel for Pagwi and onto visiting the Crocodile Festival as the 1st stop and then on up the Upper Sepik to Wagu lagoon on the first day. The dates for the August 2019 tour are from the 5th to 14th August 2019. Arrive in Wewak by air usually from Port Moresby. Met at airport by the transfer courtesy bus for the ‘In Wewak Boutique Hotel’ – and then checked in. At 6. 30 pm Chris Karis, PNG FA will meet you in the hotel reception area where he will brief you on your Sepik expedition. Breakfast at 7- 730 am. Depart Wewak by private hire vehicle with your guide to Pagwi, Middle Sepik. From Pagwi board and travel upriver by motorized dugout canoe, stopping at Ambunti to visit the Crocodile Festival. After spending time at the Festival motor on up to Wagu Lagoon and stay at the Wagu guesthouse that 1st night. Up early and before breakfast hike down to the area where the Birds of Paradise perform their dawn chorus. Return to the guesthouse for breakfast and then first go back to Ambunti to revisit the Crocodile Festival for a few hours and then carry on up river. Take a turn off the main Sepik River onto its even more remote tributary called the Sanchi River and canoe on to Tongujam Village, arriving by late morning for a village lunch. In the afternoon visit the Haus Tambarans and wander around this area. In the early evening have dinner and overnight in Tongujam Village Guest house. After breakfast witness the daily village task of men and women making sago from the sago palm tree, Sago is the basic carbohydrate food along the river communities. Visit their Haus Tambaran, with its distinctive, beautifully and colourfully painted ceiling panels. Then canoe further up river through narrow waterways to Amaki Village to enjoy their traditional sing-sing in their Haus Tambaran on the river bank. Canoe back down river to Mino Village and overnight in a family house there. Canoe on down river visiting the Upper Sepik villages of Maio, and Yambon, passing by Ambunti Catholic Mission and back into the Middle Sepik Region. and onto the welcoming, river side village of Korogu. Enjoy the Korogu traditional sing-sing and sleep in the village guest house. After breakfast carry on down river to Kanganamun and check into the guest house there. Cross over the river to visit delightful Palembei village with its 2 Haus Tambarans, both filled with artefacts of many styles for sale. An “Aladdin’s Cave” for artefact buyers!. Return to Kanganamun to visit the small Haus Tambaran and witness their own, traditional cassowary sing-sing performed by the women and children. Spend the evening visiting the initiated men in the Haus Tambaran which is one of the largest on the Sepik River. Overnight in the guest house. After Breakfast canoe on down river a short distance to Kimindibit. Villager Ronnie Bowie has set up an artefact village shop and built a nice guest house to stay in. The village ladies display all their woven and other various village made artefacts for sale on the river banks too. After evening dinner, go out with Ronnie crocodile hunting in his dugout canoe. Ronnie and his people are very skilled hunters and the crocodiles are prolific in this area. Crocodiles are hunted for their meat and their skins as they have been by the villagers for centuries, using a traditional, simple method. Overnight at Ronnie’s guest house. 12th August – Day 8. Canoe on down the river, to Aibon to visit the pottery makers and enter the beautiful Chambri Lakes. View the artefacts in and around the Chambri Lake villages and overnight in Chambri Village Guesthouse. 13th August – Day 9. After breakfast set off back upriver to Kanganamun to attend the Tambuna Festival and check into the village guest house. Kanganamun Village, famous for its carved Sepik Hooks and the largest and oldest Haus Tambaran along the river. A traditional welcome into the large Haus Tambaran awaits you and in the afternoon, you can enjoy the sing-sings being performed by the many different tribes from the Middle Sepik region taking part in the Tambuna competition. In the evening you can enjoy visiting the Haus Tambaran whilst the traditional drums and flutes are played in the dark shadows from the light of the smouldering fires. After breakfast start the travel back up river to Pagwi where the bus will be waiting to take you on the 4-hour journey back into the In Wewak Boutique Hotel by early afternoon in time to relax in the hotel pool before dinner. Sleep at the In Wewak Boutique Hotel. After breakfast and spending a relaxing period, perhaps spent in the pool, the hotel courtesy bus will take you down to the airport to check in for your PNG Air or Air Niugini flight out of Wewak. With the Sepik River expeditions, it is important to understand that itineraries are only an outline draft and there will be changes required as the expedition is happening. Bearing all these factors in mind, below are the prices based on the above itinerary. The entry to the two festivals is an additional cost which is approximately US$20pp for each festival. PNG Frontier Adventures puts great emphasis on experience and interaction with the village people. To fulfil this experience, you will stay in remote villages and be exposed to the same travel limitations and hazards as the villagers themselves. We make plans to cover most problems should they arise, which is very seldom, but the visitor must be aware of the small possibility of plans not working out as per schedule and accept this warning. Please be assured we will do everything in our powers to rearrange the expedition accordingly and find suitable solutions for you. However, PNG Frontier Adventures cannot be held responsible for sudden changes of plan when there is no alternative. Upon arriving into Wewak, each client will require to spend their first night and also final night after returning from the River (total of 2 nights) in Wewak town hotel accommodation. PNG Frontier Adventures makes the Wewak town hotel accommodation booking & confirmation, including airport transfer fees and the accommodation only payment on behalf of all our Clients and that these costs are included in our total costs on each invoice. We highly recommend and only book with – “The In Wewak Boutique Hotel” as this hotel offers the highest standards in terms of comfort, cleanliness, standard of accommodation, location, service, in- dining options , quality of meals/ food served and security in Wewak town. Clients however must pay the hotel directly at the time of their visit for all food and beverages consumed at the hotel and for any additional night’s accommodation. Lately, mobile telephone communication towers are gradually being constructed along the Sepik River giving some reasonable but intermittent coverage in some Middle Sepik River locations. PNG does not require this standard yet. 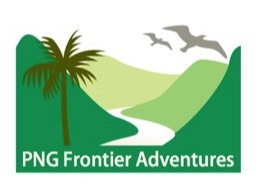 PNG Frontier Adventures informs the visitor that medical services are very limited here and rescue services on the roads f along the river even more limited. With that in mind we ask our visitors to visit your doctor before travelling to PNG and to ensure you start taking prophylactic medication against malaria to be on the safe side. Please also check on your travel insurance and medical insurance. Upon receiving an enquiry, we design and plan your personal itinerary via emails and provide a quotation, which includes the two nights Wewak town hotel accommodation, for your perusal. Once you are happy with the arrangements and wish to proceed with a booking, we ask for a deposit of 50% to be paid to confirm your place on the tour. As soon as we have the deposit your booking reservation is confirmed. We ask for the final balance of payment 4 weeks before the expedition commences. Cancellation within 2 weeks of the commencement of the expedition incurs a penalty of 100% of monies paid to date. The deposit paid is non-refundable.